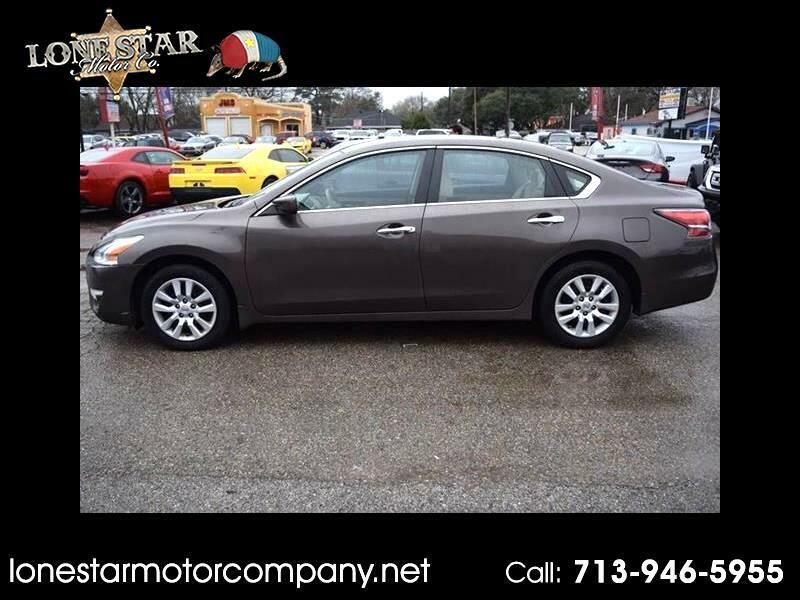 Used 2015 Nissan Altima 2.5 SV for Sale in South Houston TX 77587 Lonestar Motor Co.
BUY HERE PAY HERE! YOUR JOB IS YOUR CREDIT! EVERYONE RIDES! NO CREDIT NO PROBLEM! EASY APPROVAL! PRE-APPROVAL IN LESS THAN 10 MIN! LIMITED TIME ONLY AT LONE STAR MOTOR COMPANY! The retail price is for cash deals only. Financing is different and will include others charges and fees not included in the cash price. ONLY if financing is needed! ALL INFORMATION IS SUBJECT TO CHANGE DUE TO FREQUENT CHANGES IN THE MARKET. ALL PRICES LISTED ARE CASH PRICES UNLESS OTHERWISE DESCRIBED. DOWN PAYMENTS AND MONTHLY PAYMENTS ARE ESTIMATED TO THE CLOSEST POSSIBLE FACTORS, BUT MAY DIFFER FROM CUSTOMER TO CUSTOMER. EVERY DEAL IS DIFFERENT. WE ARE A BUY HERE PAY HERE, SECOND CHANCE LOT. WE DO NOT BASE OUR DECISION OFF YOUR CREDIT SCORE, BUT WE DO ASK THAT OUR POTENTIAL CUSTOMERS BE FREE OF BANKRUPTCIES. WE HAVE AN EASY APPROVAL PROCESS!! JUST BRING US IN TWO CHECK STUBS FROM YOUR JOB, PROOF OF ADDRESS LIKE A BILL OR COPY OF YOUR LEASE WITH YOUR NAME AND ADDRESS ON IT, AND A VALID ID, DL OR PASSPORT, AND WE WILL GET YOU RIDING TODAY!!! PRE - APPROVAL IN 10 MIN!! !